SIDRACH MAKENEY. We only know of Sidrach and his wife through the baptismal registers of the village of Ripple. Ripple is a village just south of Walmer. There is a single entry with their names in 1666. This leads us to suppose that Sidrach was born around 1640, just before, or possibly during, the Civil War of 1642-9. We do not know who Sidrach’s parents were. There was also a John Makeney, who had a daughter Elizabeth christened in Ripple in 1662. They are the only other Makeneys recorded in Ripple in the 17th century and it is possible that John is Sidrach’s brother. There were other Makeneys in nearby Deal. The Protestation Returns of 1642 for Ripple has three Mackneys: Richard, Thomas and Francis. Richard was a churchwarden. One of these may be Sidrach’s father. Shadrach, Meshach and Abednego were three faithful Jews in the Book of Daniel. They were thrown into a furnace for refusing to worship a statue of King Nebuchadnezzar, but miraculously saved. The choice of this unusual Old Testament name may mean that the Makeney family were Puritans. Unlike Scotland, the English Civil War was not primarily about religious differences, but the powers of King and Parliament. Political differences were, however, underscored by religious beliefs. Royalists tended to be on the Catholic wing of the Church of England or Roman Catholics. Parliamentarians were typically Dissenters or on the Puritan wing of the Anglican Church. The surname appears in Kent in a variety of spellings, e.g. McKinny, Mackenny, and many others. ANN. We have no record of Sidrach and Ann’s marriage, and consequently we do not know Ann’s surname. Like Sidrach, she grew up in turbulent times. The Civil War broke out in 1642. King Charles I was beheaded in 1649. The monarchy gave way to a republican Commonwealth. But by 1660 many Parliamentarians had become disillusioned. Under the Puritan Commissioners, the country had became a joyless place. Sport was forbidden on Sundays, the only free day most people had. When Oliver Cromwell made himself Lord Protector and dismissed Parliament, he became king in all but name. After his death in 1658 he was succeeded by his son, who did not have his father’s leadership qualities. Charles II, son of the executed Charles I, was invited to restore the monarchy. Things then went to the other extreme. Charles II’s court became a byword for licentiousness. We do not know what part the Makeneys or Ann’s family played in these violent times. Ann and Sidrach must have married in or before 1666. If they lived in another parish before Ripple, other children may have been born then. 1665 was the year of the Great Plague in London. It spread to many parts of England. The Deal area could not have remained unaffected. By 1666, Sidrach and Ann were certainly living in Ripple. Leaving Walmer, the slender spire of Ripple Church next drew our attention. It is situated one mile to the Westward of the last described village. 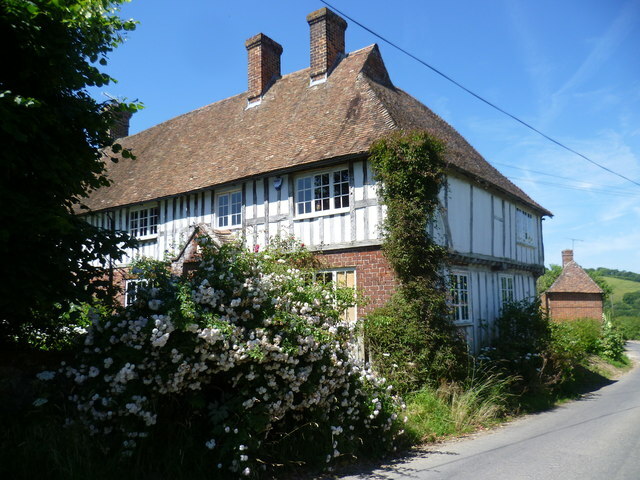 This Parish is very thinly inhabited, and has but few houses of consequence within it; though there is a tolerable one for the Rector adjoining the church-yard. The Church is a small building of one aile and a chancel, with a small square tower at the West end, containing two bells, but which have no inscriptions on them, and is covered with a tall timbered spire. We have no record of any other children. Not all Kent parish registers are accessible. Other children may have been born elsewhere, before or after 1666. Or Ann may have died in childbirth, either when Elizabeth was born, or with the next birth. If so, this would have left Sidrach to bring up his small daughter alone, or more probably with the help of relatives. The Makeneys would have known the 16th century Ripple Farm. They may even have lived in a house of a similar style. In The Church Yard, is an Altar Tomb for Valentine STANLEY 1632 and Memorials of MACKNIE, STANLY, and WARMAN. Faussett does not tell us the dates on the Macknie grave, or whether there was more than one of this name. But the burial or burials must have been within a century of Sidrach’s lifetime. Findmypast only gives two Makeney baptisms in Ripple, both in the 1660s. There is therefore a strong possibility that the grave was Sidrach’s, and perhaps Ann’s, or that of a close relative. Faussett lists only four surnames on memorials outside the church. The Macknies must have been a family of some means to be able to afford an inscribed tombstone, though not as prestigious as the families buried inside the church.